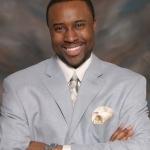 Fayetteville, NC May 14, 2013 – This coming Sunday, Youth Speaker Quentin Whitehead will address the Black Student Union at The College of Lake County’s annual banquet. Each year around this very time, CLC recognizes and honors its BSU students for an outstanding year. Whitehead will deliver his signature message “It’s Possible” to about 60-70 individuals in attendance. The theme for this year’s banquet is “The Bold, The Educated, The Leader”. Quentin’s goal is to reinforce this terrific mantra and provide concrete steps on how to further enhance it. His points will be laser focused on showing the students in attendance how to turn their possibilities into reality. It should be a lot of fun!